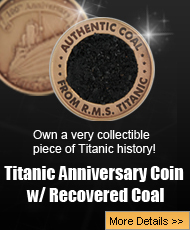 The RMS Titanic went down in 1912, and the sinking of the world’s biggest and most luxurious ship ever shook the planet to its very core. People were introduced to the 20th century, and life for everyone would never be the same because the biggest lesson that the Titanic taught is that no one is impervious to the power of Mother Nature, not even the richest people in the world. However, since 1912, Titanic faded out of the consciousness of the world, and she seemed like just a dream until Bob Ballard found her in 1985. Since 1985, the world remembered the Titanic, and how never forgotten her ever since. The Odell family consisted of Lily, Kate, and Jack Odell were only traveling on the RMS Titanic as far as Queenstown. They had a camera with them, and just took a lot of random shots around the ship before they got off of it in Ireland. Their simply family pictures became famous as some of the very few rare photos that were taken during the voyage. Some of the pictures that took were just of random passengers, and not everyone featured in the photographs has been identified. 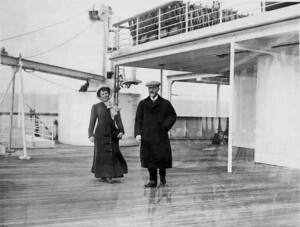 These two passengers are standing near the aft section of the Titanic near the big cranes that helped load the luggage. There is a famous newsreel of luggage being put aboard the Olympic, and it is one of these cranes that is actually being used in the newsreel. The Odell family got off of the Titanic using tenders that dropped off passengers. The tenders were small little ferry boats, and this photo is the view from one of them. The Odell family had no idea that their Titanic images would be so important, but the truth is that they are, and they are the only record that Titanic historians really have of the ship before the tragedy of its sinking occurred. 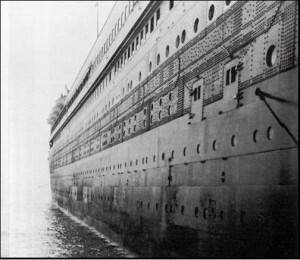 The iconic Titanic image of the side of the ship was taken by Kate Odell. Jack Odell was an 11 year-old boy when the Titanic sailed, and years later, he signed a photo of himself that was taken 80 years earlier. The area where Jack is standing is near the roof of the First Class Lounge. 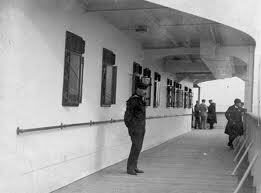 Jack Odell is on the right, and he and this crew members are on the Promenade Deck. 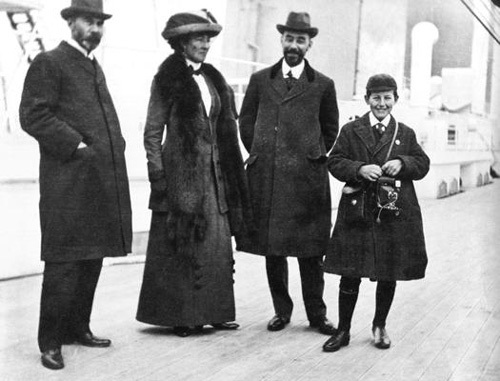 Kate Odell snapped this picture of her family on the Titanic. The exact location is the boat deck given the funnels behind the family, but still, this is one of the most amazing Titanic images out there because of the fact it is a family portrait. 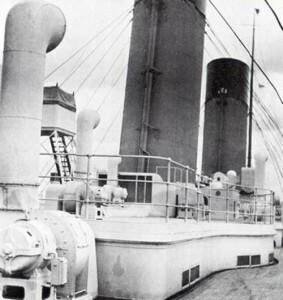 Another very rare Titanic image, this is an Odell photo of Titanic’s third and fourth funnel. The most amazing thing about the Odell photos is the fact that they are of just random pictures that the family took, but even the random can be extraordinary. Titanic images mainly consist of the beautiful ship when it was being built, and there are plenty of the Titanic under construction when she was nothing more than a steel skeleton. Many important parts of the Titanic were photographed, and are considered iconic because they were things like the propellers, when she was launched, her fitting out in the dry dock, and her sea trials. 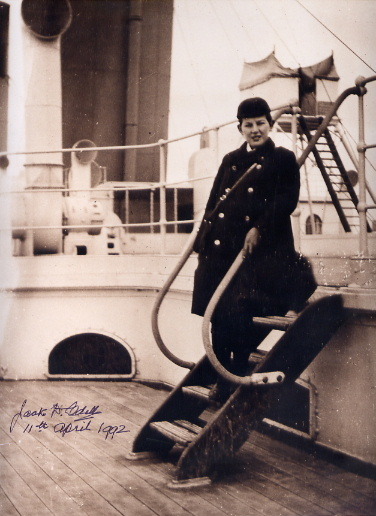 The only known surviving photographs of the voyage itself come from the Odell family, and Father Francis M. Browne. Browne was an Irish priest who was returning home. Like the Odell family, Browne took a lot of random photographs of passengers enjoying the Titanic’s amenities, and when the ship reached Queenstown, he left the ship. 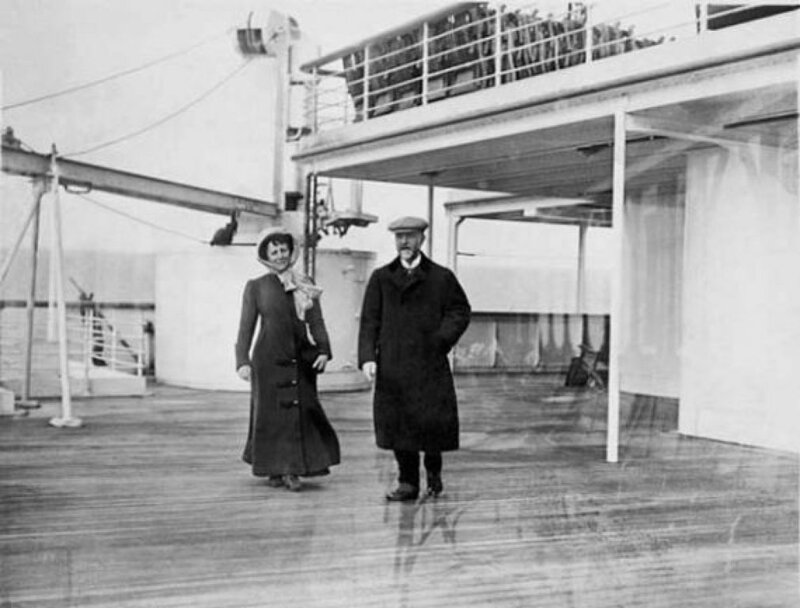 Thanks to Father Brown, and the Odell family, Titanic historians have photographs of the happy times passengers had while on her, and people were doing things like sitting in deck chairs or just strolling on her long decks enjoying the wonderful sea air. Today, Titanic images are not as pleasant as the Odell family photographs because Titanic is literally a rusting ship sitting on the bottom of the ocean. However, the Odell photographs, and even the ones taken by Father Browne, are a reminder of when Titanic was a beautiful, living , breathing ship that was carrying passengers from one side of the ocean to another. These simple photographs are a reminder of simpler times when the world was not as cynical as it is now, and there was something innocent about it before things changed permanently for everyone.